Autism Berkshire is a charity providing a range of services and support to parents and carers of children and adults with autism. It was founded in 1990 as the Berkshire Autistic Society by a group of parents of children with autism and related conditions. As well as supporting people living with autism, the charity works with Berkshire’s six local authorities, the NHS and other organisations to improve education, respite care, leisure activities and other services for people with autism spectrum disorders and their families and carers. 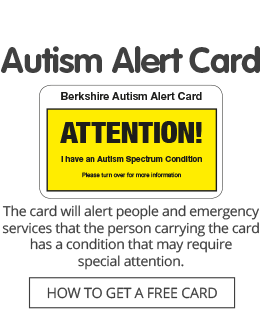 Autism Berkshire is funded by donations, grants and supporters’ fundraising efforts. Autism is a lifelong condition which can leave a person unable to communicate appropriately (both verbally and non-verbally), to think flexibly and to develop social relationships. It is a spectrum disorder, which means it can range from mild to severe and affect people with average or above average intelligence to those with learning disabilities. Our chief executive officer, Jane Stanford-Beale, is available for interview in connection with articles and broadcast reports about autism.